Abarbanel’s most popular and highly sought-after wine is back for 2019 – Abarbanel created the kosher Beaujolais category way back in 1992 with our 1990 vintage and we have been the unquestioned kosher Beaujolais leader ever since, first producing at Chateau de la Salle and now after an absence of a few years, at the even more highly acclaimed Chateau de Pougelon. Beaujolais Villages is one of the world’s most food-friendly wines, accessible and popular with both sophisticated and novice wine drinkers alike. The Gamay grape from which Beaujolais Villages is made is not too heavy, not too tannic, not too bitter and doesn’t need to age for years at a time to be enjoyed at its peak. A heartier and fruitier cousin to Pinot Noir, Gamay also comes from the Burgundy region of France. While Beaujolais wines can be light to medium in heft on the palette they also enjoy a profusion of forward berry fruit which distinguishes it from many other types of wine. Abarbanel Beaujolais Villages displays all the characteristics one would expect from Gamay grapes harvested by hand from mature vines – bright ruby color with purple highlights, subtle notes of blackcurrants and blackberries on the palate along with a bit of strawberry tang, well-balanced acidity and mild tannins. Among the characteristics that set Abarbanel Beaujolais Villages apart from the pack are that all of the grapes come from the proprietary, estate vineyards at Chateau de Pougelon. All of the vines are 40 to 98 years-old plus. Old vines make the best grapes. The vineyards are always pruned back and managed judiciously to restrict yield and maximize the fruit concentration in the grapes. We are not growing volume, but quality. 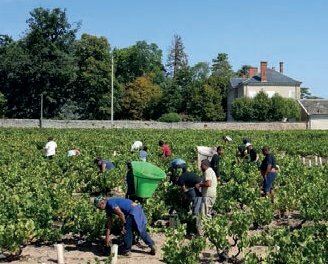 Additionally, harvesting machines never touch the grapes at Chateau de Pougelon – the grapes are always harvested by hand – unbroken whole berries find their way into small baskets and the grapes are not crushed and broken by the force of gravity in the back of a giant truck – whole fruit is gently pressed to ensure the very best juice is turned into wine. Abarbanel Beaujolais Villages is Non-Mevushal ensuring that the delicate nature of the Gamay grape is not tampered with. Limited, small-batch production under the strict Haredi supervision of the Beth Din (Badatz) of Lyon, France. Beautiful sleek black-on-black packaging and popularly priced for a Chateau-produced wine. Built originally in 1662 (with many additions and extensions since) Chateau de Pougelon is situated in Saint Etienne des Oullières, in the heart of Beaujolais. 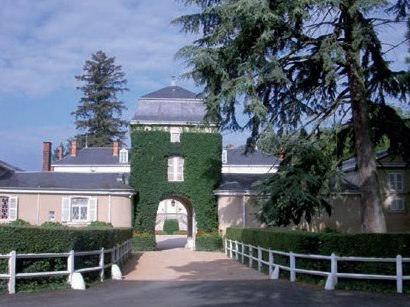 The Chateau has 12 hectares (29.65 acres) of their own vineyards, in the Beaujolais Villages and Brouilly appellations. The grape vines in the Beaujolais Villages appellation are from between 40 to 98 years old – among the most mature vines in the region and mature vines always produce the best grapes. All the grapes for the kosher production come from the Chateau’s own vineyards. The 2018 Abarbanel Beaujolais Villages is the very first kosher production from this centuries-old Chateau. Aside from the rabbinic supervision, everything in the kosher production was done according to the exacting standards used in making their regular Villages and Cru Beaujolais wines. 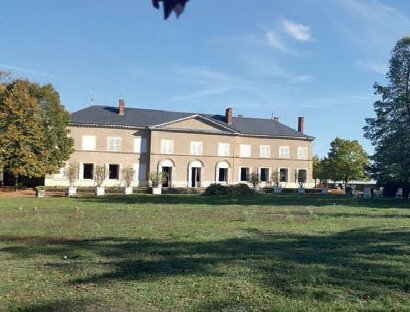 At considerable effort, one of Beaujolais’ most outstanding properties has now been made available to the kosher consumer. No expense and no effort has been spared to ensure this wine is perhaps the best bottle of kosher Beaujolais Villages ever produced. 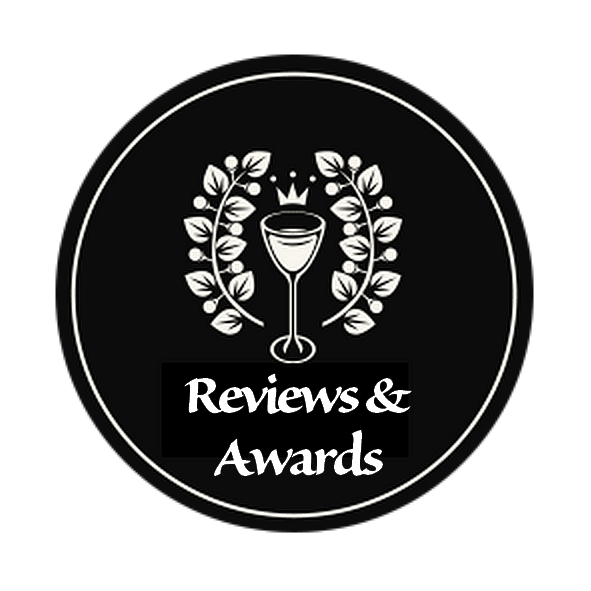 The Beaujolais wines from Chateau de Pougelon are highly acclaimed, garnering very favorable reviews from UK wine critic Jancis Robinson, among others. This will be the go-to red wine for Passover 2019 – new, fresh and exciting from one of the oldest and most reliable names in quality kosher wines. The Abarbanel family’s commitment to Beaujolais excellence is in every bottle following a legacy of gold and silver medals stretching back to 1992. Abarbanel is proud to offer our 2016 vintage Cabernet Sauvignon. For those of you who don’t want to be overwhelmed and buried by your wine when having a meal, this is a medium-bodied Cab that will delight you with its blackberry, cherry, herb and coffee notes. This is not a jammy fruit bomb, Batch 22 Cab is a sophisticated and smooth Bordeaux-style classic French Cabernet Sauvignon. Low tannins so it’s ready-to-go along with a clean, clear fruity finish. Abarbanel Cabernet has been popular since our very first vintage in 1994 and is still handcrafted by our winemaker Roger Jean Jean who has been making our Languedoc wines for the past 20-plus years. This wine’s grapes are sourced from a single vineyard (Les Dolmens Rouges) near Ouveillan in the Aude River Valley in the South of France. The wine was made from mature vines with tender loving care. We’re in our Aude Valley vineyards all growing season delicately pruning the vines to restrict yield so as to enhance the concentration and flavor of each grape cluster. You can taste the difference that crushing whole berries and using first-run juice makes. Mevushal. Under the supervision of the O-U and the Badatz of Paris. Limited production. We recommend pairing this wine with duck and goose, roast beef, ribs, chops, burgers, steaks, meat loaf, pasta dishes along with meat lasagna, veal piccata, and lamb chops. Don't drink this wine with fish! Serve at room temperature. Please age the bottle on its side in a cool, dry place. Give the wine about 20-30 minutes of air before drinking if you can. Drink now until 2020-2021 if stored correctly. Popularly priced under $15 at most retailers. To commemorate Abarbanel’s 25th Anniversary in 2017 we’re proud to share this 2016 vintage Bordeaux-style blend of Cabernet Sauvignon (65%) and Merlot (35%) made from grapes grown and harvested at the single Les Terres Noires vineyard in the Aude River Valley in the South of France. Aged in French Oak for four months this wine is Unfiltered and Non-Mevushal. The wine has bing cherry notes with touches of coffee, tobacco and light tannins for an easy finish. Very limited production and allocation. Beautiful packaging. O-U Certified along with the Beth Din of Paris. A real value for a single vineyard wine aged in oak! This is the 26th Anniversary of Abarbanel Chardonnay. Our 1990 vintage was the pioneer in kosher Unoaked Chardonnay and the 2016 has the same crisp, clean and refreshing citrus, apple, pear and light honey notes of its popular forebear. A wonderful wine to pair with fish, poultry or on its own. The grapes were sourced exclusively from the Les Chemins de Favarelle single vineyard in the Aude River Valley in Southwest France. The 2016 vintage benefited from perfectly ripe fruit from that warm sunny summer. Handcrafted by our winemaker Roger Jean Jean who has been making our Languedoc wines for the past 20-plus years. Small batch production, so get it while we have it. Popularly priced under $15 at most retailers. The 2015 vintage is still available in some stores and is every bit as wonderful as the 2016 and good to go until 2019 at least. This wine was made from mature vines with tender loving care. We’re in our Aude Valley vineyards all growing season delicately pruning the vines to restrict yield so as to enhance the concentration and flavor of each grape cluster. You can taste the difference that crushing whole berries and using first-run juice makes. Mevushal. Under the kosher supervision of the O-U and the Badatz of Paris. Our new Chard will really shine accompanying grilled red snapper, Dover sole, halibut, grouper or pompano. A wonderful compliment to chicken Marsala, coq au vin or arroz con pollo. Delightful with roast turkey breast. On the sushi side, try with hamachi jalapeno or tuna tataki. Store on its side in a cool, dry place or in a wine refrigerator at 58 degrees Fahrenheit. Please do not chill in a food fridge for more than an hour prior to serving. Drink now through 2020 if stored correctly. Our Gold-Medal Winning Gewurztraminer Makes It's Grand Return! Over twenty years ago Abarbanel was the first with kosher Gewurztraminer from Alsace and after much anticipation its back for the High Holiday Season in a fun, contemporary new package. Non-Mevushal and semi-dry for the first time. 2015 vintage. Pair this wine with anything Asian - Sushi, Thai, Chinese, Japanese, Korean. Also great with Cajun cuisine, barbeque or any kind of poultry. Especially delicious with Thanksgiving turkey and cranberry sauce. Serve only slightly chilled - 90 minutes in the fridge, maximum. An hour is better yet. Or store at 55-58 degrees and serve straight from the cellar. The pride of the Alsace region of France (bordering the west bank of the Rhine) this wine displays aromas of citrus, wild flowers and spices. Enchanting and slightly sweet, it's sugar and spice and everything nice. The grape vines for this wine are over 40 years old and are grown in the foothills of the Vosges Mountains and are hand-harvested at dawn. The new 2015 vintage is made by our same winemaker since the early 90s so you can be assured of consistent high quality. Gewurztraminer -- a tough word to pronounce but a very easy wine to drink. "Gewurz" is the German word for "Spicy" and "Traminer" is the actual grape type (like "Chardonnay."). Gewurztraminers are typically both spicy and sweet at the same time. The bouquet on this type of wine is like you've fallen nose first into a field of spring flowers. The home of Gewurztraminer is the Alsace region of France. Alsace shares a border with Germany along the Rhine river. The area is very similar in terrain and climate to the German wine regions and the kind of wines produced in Alsace are a fascinating blend of both French and German winemaking methods and traditions. Under the strict Haredi kosher supervision of the Badatz of Strasbourg (Kosher Strasbourg), Rav Michael Szmerla. From the Kosher Wine Society: "Straddling multiple climates and cultures, Alsatian wine-making reflects this diversity of tradition. Influenced heavily by Germanic winemaking traditions, the region's grapes are almost exclusively German in origin, its varietals rarely blended, and its aging process almost completely devoid of oak. Yet the verve, structure, and body of Alsatian wines express a decidedly French sensibility, which is ultimately more pronounced in the final product. Unlike German Rieslings and Gewurztraminers, which are notorious for having high degrees of residual sugar and for retaining a delicate and fruity character, Alsatians are celebrated for their steely backbone, their acidic grip, and their dryness. These flavor profiles are ideal in complementing the hearty meat and cheese dishes typical of the region. 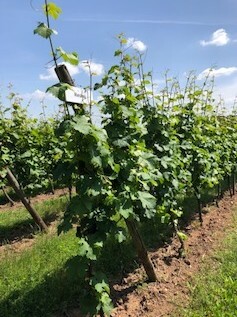 Not many whites can stand up to this challenge, but local wine-makers, in a climate too cold to produce robust red wines, have ensured that Alsatian whites can. The result is some of the most memorable white wine in the world. What's more, it pairs beautifully with almost any dish you could serve at your table... the whites are the real champions of this bunch, and you should attempt to track them down at all costs (especially the Gewurz)." For many wine lovers, Riesling from France's Alsace region is the benchmark by which all Rieslings are measured. Considered the best land for raising Riesling, Alsace's high elevations and proximity to the Rhine make for superb terroir for hearty whites. Our Alsatian Riesling is a classic Haut-Rhin, high-elevation wine in the semi-dry French style -- no candy-coating or greasy kid stuff. The 2015 harvest in Alsace was conducted under the new stringent maximum vine yield regulations by varietal type as set forth by the Alsatian Wine Council -- this means careful pruning to eliminate heavy grape yields to engender greater fruit concentration in those grapes that literally "make the cut." The grapes gently crushed to make this wine come from very mature vines, most over 40 years old which qualifies the wine for the label designation “Old Vines,” the best grapes come from the most mature vines as the older vines impart greater depth and complexity to the grapes. The climate in Alsace is nice and dry with temperate summers and cold winters which afford the vines an extended hibernation period. This is one of the only kosher and Mevushal Rieslings from Alsace and Abarbanel was the first kosher wine producer to bring kosher Alsatian wines to the U.S. more than twenty years ago. Under the strict Orthodox supervision of the Badatz of Strasbourg. 2015 vintage is Non-Mevushal.